Easily move your iTunes Media! » Fixed a bug that would cause TuneSpan to stall if large folders or lots of folders were expanded in the Media Locations list. » Fixed minor bugs when displaying TV Show names and large episode numbers. » Other minor bug fixes and improvements. » Added support for the next version of macOS. » Fixed “Refresh Album Artwork” Tool for iTunes 12.4 and newer. » Improved “Create Locations Playlists” Tool for iTunes. 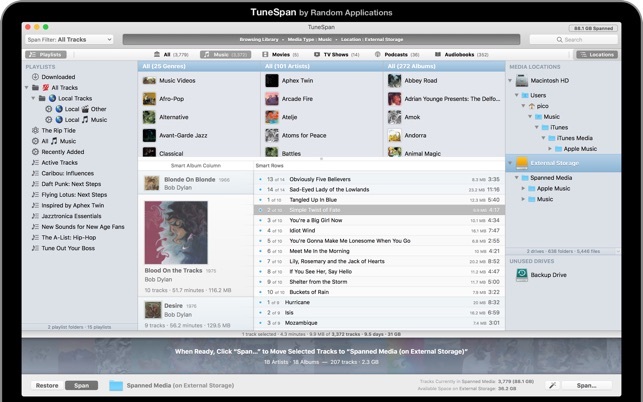 » Improved how TuneSpan handles very large Spans and Restores. When Spanning and Restoring more than 5000 tracks, TuneSpan will automatically split it into separate batches to not stress the system too much at once. 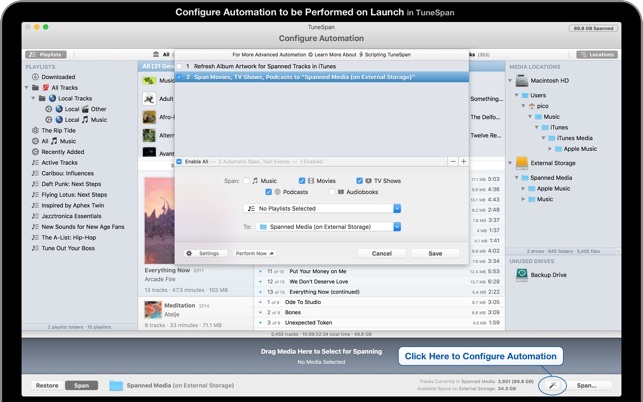 TuneSpan can automatically continue onto the next batch if the previous one was successful. 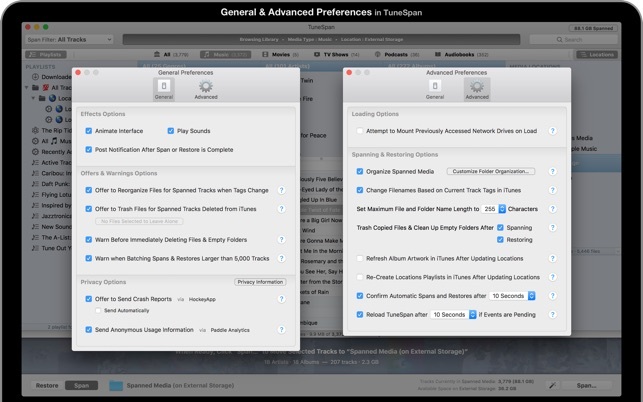 » Improved how TuneSpan handles Restores when the original location no longer exists. 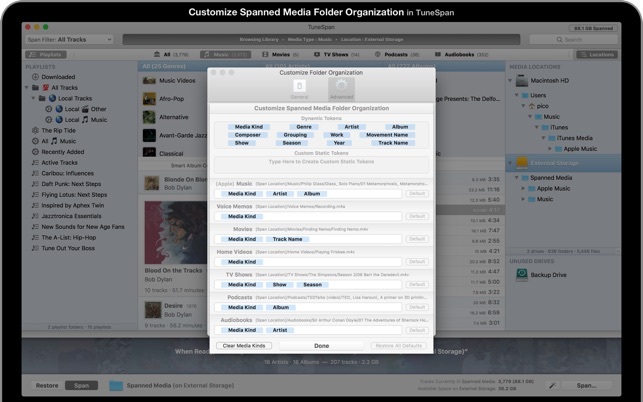 TuneSpan will now offer to restore to the current iTunes Media folder instead. » Improved first run experience. New users will now be prompted to opt-in to Analytics on the second run instead of the first. » Added new Maximum File and Folder Name Length setting to Advanced Preferences. » Added support for Loved, Album Loved, Work, Movement Name, Movement Number, and Movement Count tags. » Added Work, Movement Name, and Year as Dynamic Tokens in the Custom Folder Organization Preferences. 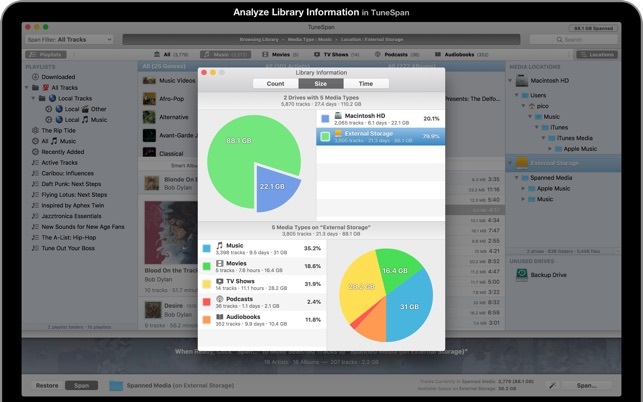 » Removed “iTunes U” and changed “Books” to “Audiobooks” throughout TuneSpan. If you’re using an older version of iTunes that still has iTunes U, they will be shown as Podcasts in TuneSpan. » Replaced interface icons with icons from Primaries by Parakeet. » Fixed a variety of interface bugs on macOS 10.13 High Sierra. » Dropped support for older than OS X 10.11.6 El Capitan. » Various bug fixes and improvements throughout. 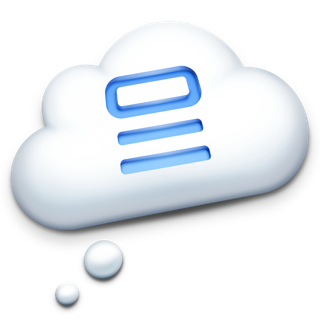 Magic little piece of software that you never thought you would need. If you are like me and you have a ton of music, eventually iTunes will start to struggle to keep up with the location of all of your music. Especially if you have had to download songs to external storage as your laptop is limited as to the amount of hard drive space it has. You may have found yourself in a similar position to me. Thousands of music files you have paid for and want to access but iTunes no longer recognizes where the file is. 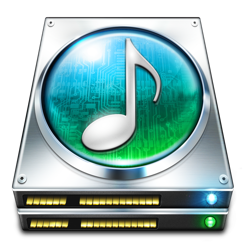 This software fixes that issue as well as makes it very easy to move songs from your hard drive on your laptop or desktop to as many external storage devices as you need AND still has them all able be managed and played through iTunes. It does it all in a very easy to use interface which, starts to seem like magic. Gone are the days of thinking I lost some of my music. I no longer worry about moving files around and wondering if I just made a copy of that file somewhere else in my collection. This software is great and helps to keep all of that in check. I cannot recommend this software highly enough. A must have for folks with a lot of music. I wanted to move ONLY my movies to an external HD. At $15, TuneSpan was worth a chance, if only to ensure that I didn’t really screw up my iTunes library and files tyring to do it manually. 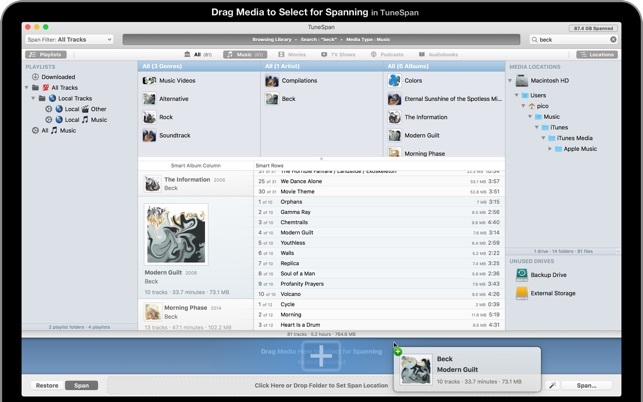 TuneSpan works like a charm. The interface will be familar and if you read a couple of the help instructions, you’ll be up and running in a few mintues. I ran a test file to ensure I could perform the right steps and TuneSpan worked beautifully. Then, in a matter of ~90 minutes, I was able to relocate (span) all the movies (110 GB) to an external HD. Upon my instruction, TuneSpan also deleted the files on my internal HD, freeing up that valuable real estate. I’m NOT a tech guy but this product seems to work great. I have NOT tried or test all the built in features (like “Restore) but I will assume that they will all work fine or the Developer will help us. He seems to really be engaged in this product and I REALLY appreciate that. I have a fairly big Itunes library, around 150G, and don’t have space for it on my MacBook. I’ve manually managed an external ITunes library in the past but found it a real pain, especially moving things around. So far I’ve used TuneSpan to move my external drive a couple of times, and have added more files a number of times. It seems really solid, I like the fact that you see each result and approve it before it is completed. I also like the way it works with iTunes rather than create another layer that could fail at some point.